ReportON is a new telephone line and email address that the Ministry of Community and Social Services (MCSS) has implemented across the province to report actual or suspected abuse or neglect of adults living with developmental disabilities. MCSS is committed to promoting the safety and well-being of adults living with developmental disabilities, as is Surrey Place Centre and Developmental Services Ontario Toronto Region. 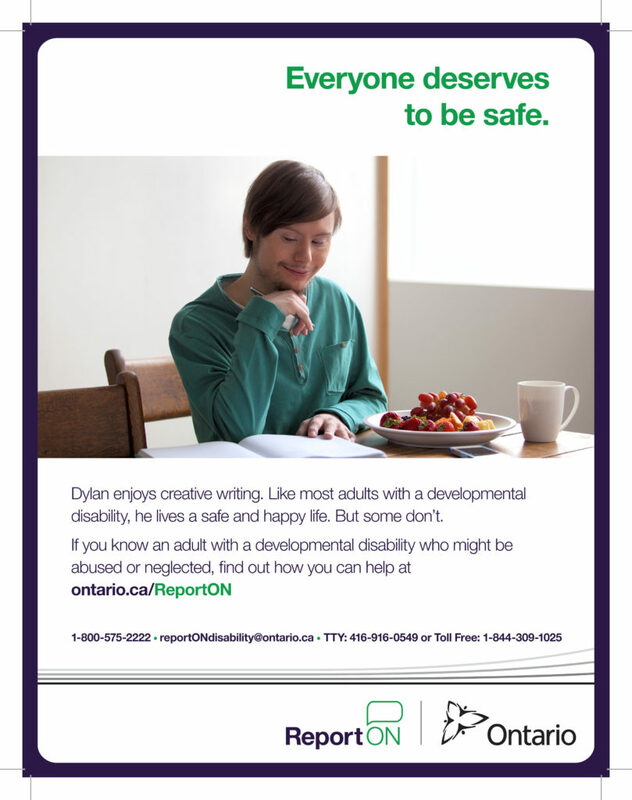 If you have witnessed abuse or neglect of an adult with a developmental disability, you can help by calling 1-800-575-2222 or email reportONdisability@ontario.ca the TTY number is 416-916-0549 or call Toll Free 1-844-309-1025. For more information and to find out how you can help visit ontario.ca/ReportON.